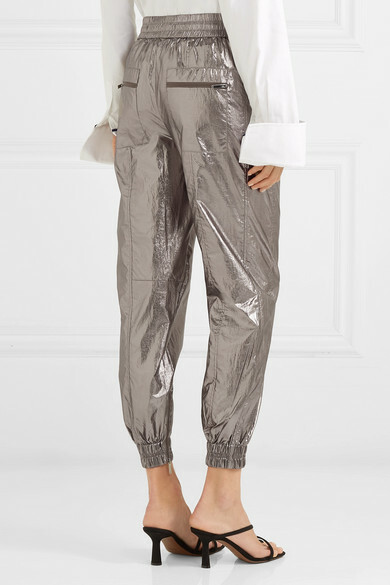 You certainly won't blend into the background in these silver track pants from Jason Wu. 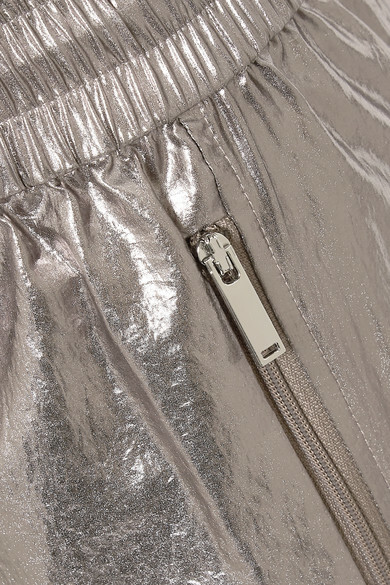 They're cut in a sporty shape from foiled shell, with an elasticated drawstring waistband. Two pockets are located at the front and a further two at the back - perfect for keeping your cell and cards safe while you're at parties. 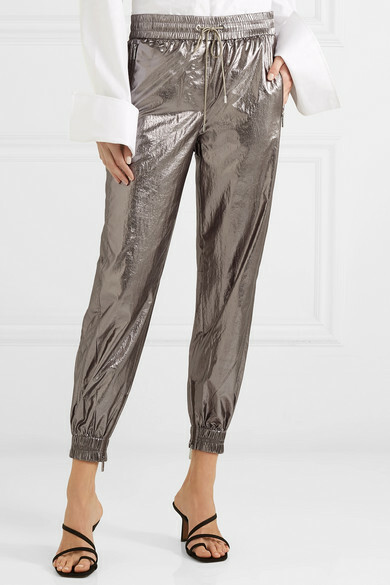 The ankles can be unzipped for a less tapered finish. 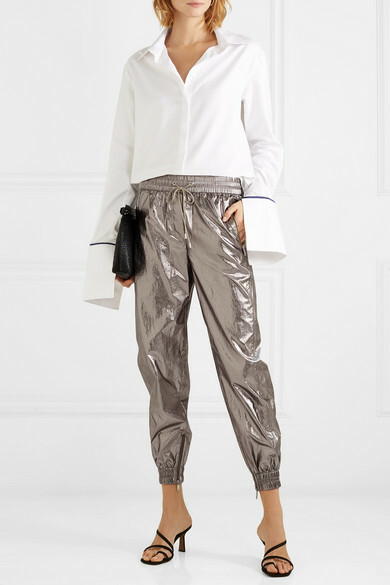 Shown here with: ANNA QUAN Top, Loewe Pouch, Neous Mules, Sophie Buhai Earrings.